Death of Brother Albert Villeneuve, S.C. Yesterday, December 16, Brother Albert Villeneuve, of the community of the Brothers of the Sacred Heart, died at the age of 89 years. For many years, Brother Albert was the main translator from French to English for the bulletin Heart-to-Heart. He had to stop this service last summer because of health problems. He carried out his translation service diligently, and with great respect for the writings of the authors. Through this service, he helped to make known the work of God in our world. Let us give thanks for all that he has brought to Faith and Sharing, and in all his life. Notice of death (in French) : Brother Albert Villeneuve, S.C.. 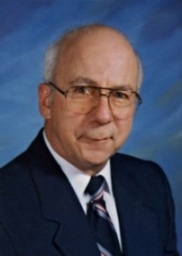 Brother Albert Villeneuve, s.c., made for many years the service of translating, from French to English, most of the texts of the Heart to Heart bulletin. Now, he said, "I ended my modest career in translation." Brother Albert, thank you for all the service done with diligence and competence! - Translate from French to English texts which will appear in the bulletin Heart-to-Heart. - There are usually a dozen texts, ranging in length from half a page to two pages. Texts are sent by email, under my coordination. - Most of the texts arrive in the days before the deadline, in mid-March and mid-September. We allow about 3 weeks making translations. - Another person, now Pat Mueller, makes the service to review the English texts to correct the errors that inevitably creep despite all vigilance. - In the past, others have generously agreed to "replace" the translator when he was not available. Thank you Isabelle, Mary, Maria, for the service rendered, sometimes called at the last minute, which removes performance pressure on the translator. If you feel called to this service, or if you know someone who could do it, thank you to let me know. The Faith and Sharing North American Retreat for French-speaking people will begin June 19th in Quebec City. We did reserve 50 rooms at the retreat center (Centre de Spiritualité des Ursulines), we have exactly 50 registrations with lodging. A few participants from the Quebec City region registered as "externs" and will attend for the full week or in part. The Faith and Sharing Federation General Assembly will be held on the first day. Maggie Walsh, English-speaking coordinator, will attend the meeting. We invite you to join us in prayer. Let us pray for all who participate to the retreat, so they have meaningful encounters with Jesus and with their brothers and sisters. Let us pray for those who would have like to come to the retreat, but cannot. Let us pray for our world that peace and love may grow.